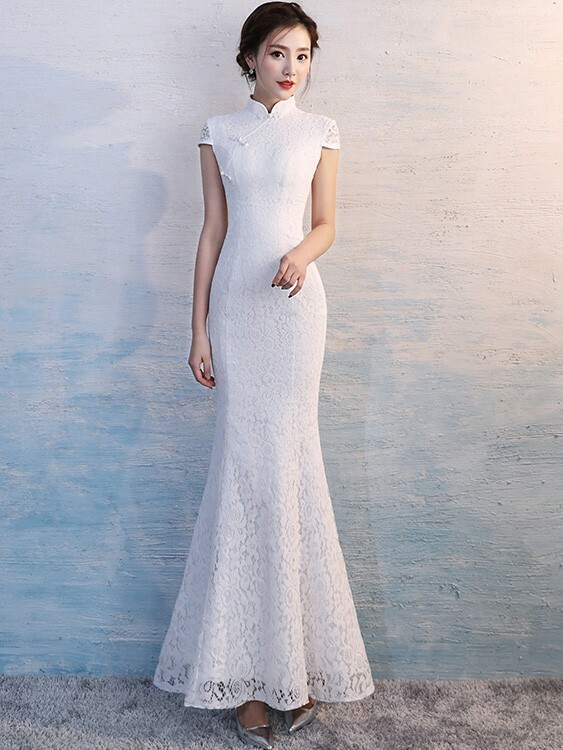 A contemporary style with classic charm, this long qipao dress is a sultry, yet affordable option for your formal event. Measurement requirements: Do not measure over clothing except undergarments. 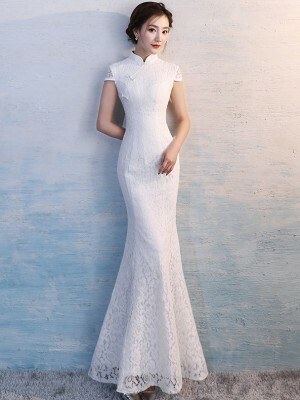 I received my wedding dress on 06th of April. Great quality and fits me very well. 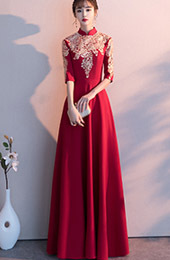 Thank you for the great service and dress! I can now marry off peacefully! I got my two dresses today. 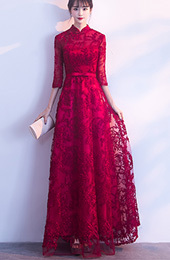 Thanks so much for make the dresses with my measurements. They both fit perfectly. Great quality, same as the modal's pic. And they are so beautiful.